JPY was supported after the earthquake and Kuroda’s comments. 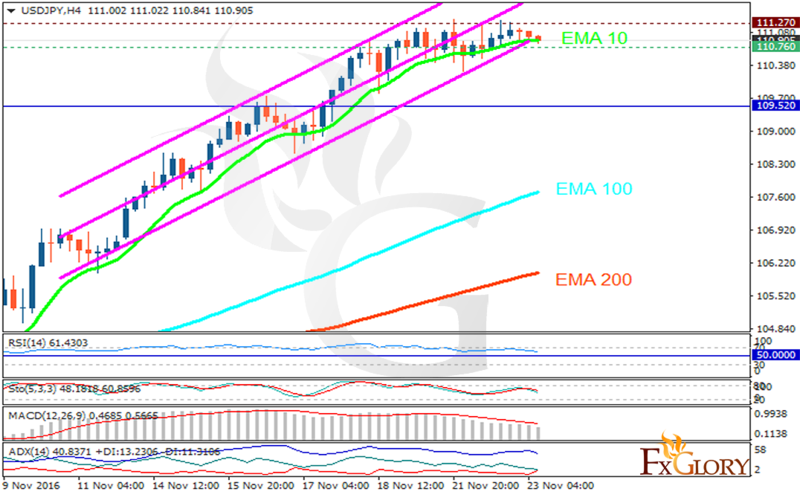 The support rests at 110.760 with resistance at 111.270 which both lines are above the weekly pivot point at 109.520. The EMA of 10 is moving with bullish bias along the ascendant channel and it is located above the EMA of 200 and the EMA of 100. The RSI is moving in overbought area, the Stochastic is showing downward momentum and the MACD indicator is falling towards the neutral zone. The ADX is not showing any clear signal. The chart will stay bullish targeting 112.00 area.